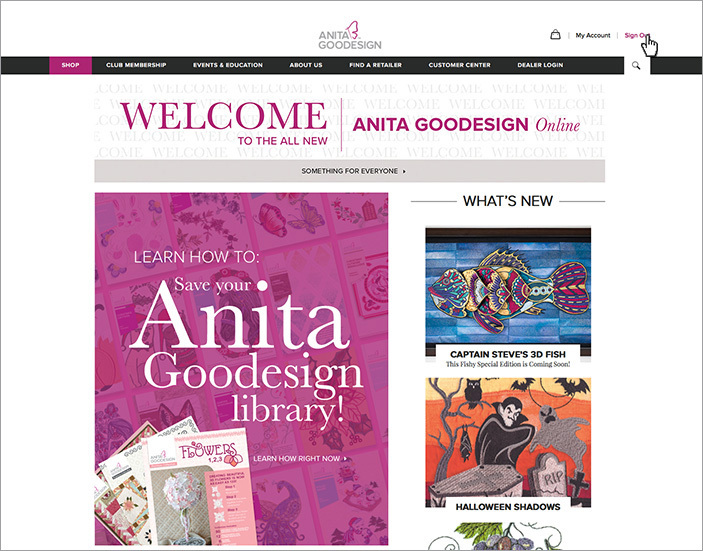 Welcome to Anita Goodesign online! Our website is full of fabulous features, lots of information, and some helpful tools all designed with our customers in mind! 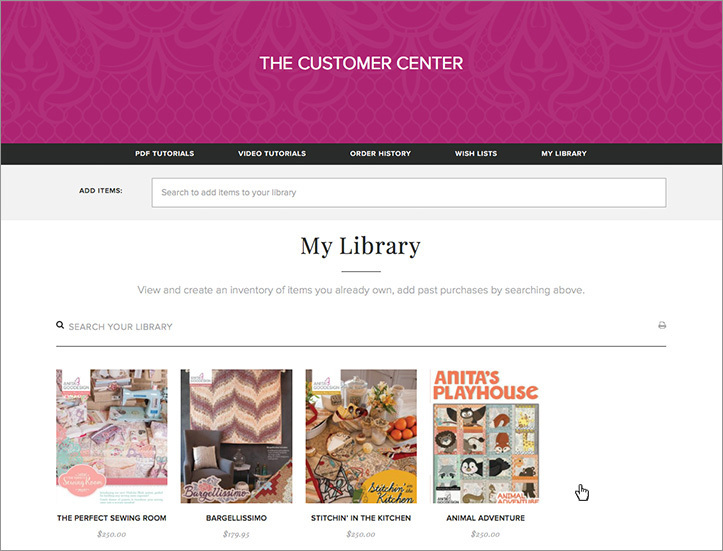 While some of these are accessible to anyone who visits our site, exciting features like a Wish List, Library, PDF and Video Tutorials are just a few clicks away in our Customer Center. How do you access these resources? It’s simple! You just need to register by following these easy steps. 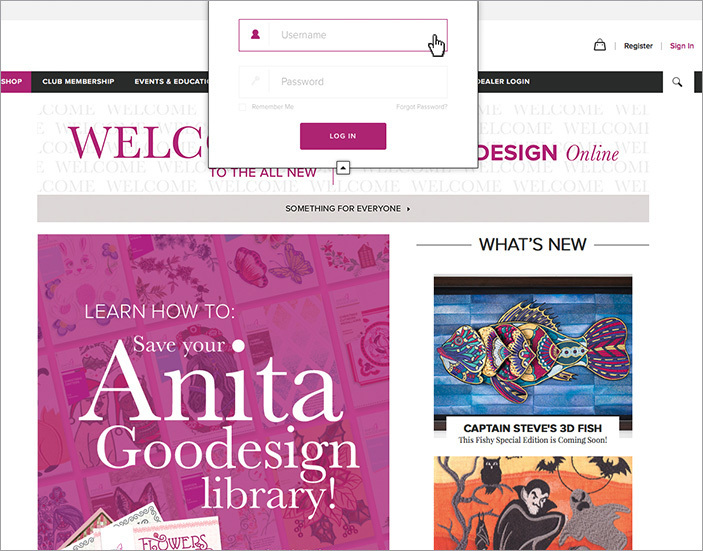 When you arrive on the homepage, you’ll see at the top left where it says ‘Register.’ Click to head the Create Your Account page. You’ll be asked to enter your email address and a password. 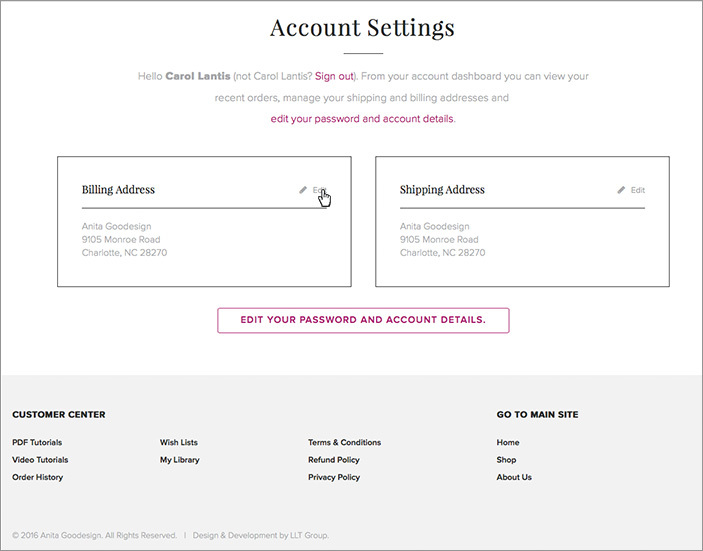 Then press ‘Go.’ This will take you to the Account Settings page. You will also receive an email confirming you’ve successfully registered. You can edit your information, such as your Billing Address and your Shipping Address for expedited check outs. With that information updated, your Account Setting page will look like this. 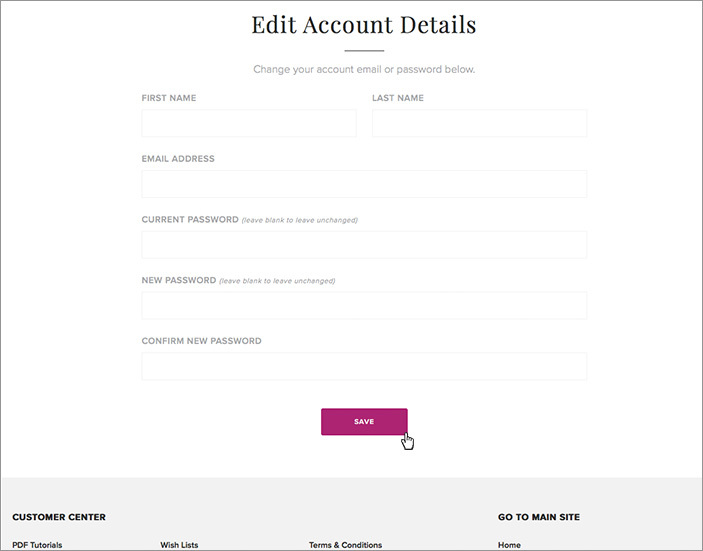 You can also edit your password and account details as well. The Edit Account Details page will look like this. Click ‘Save’ when you’ve completed adding your information. Now, when you come to our site you can select to Sign In at the top right corner to access the Customer Center. Once logged in, your Customer Center dashboard will look just like this! You’ll be able to manage your Account Settings, view your Order History, and have quick access to Shop our products from here as well. Additionally, you’ll have access to hundreds of Video Tutorials, handy PDF Tutorials, and our Customer Service department – all of these are great resources for any project you may be working on. 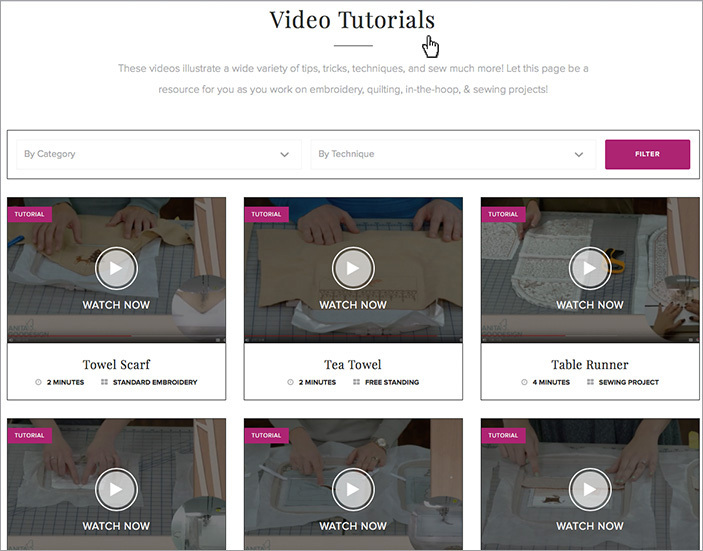 Simply sort through the videos by narrowing down categories and topics to find exactly what you need! 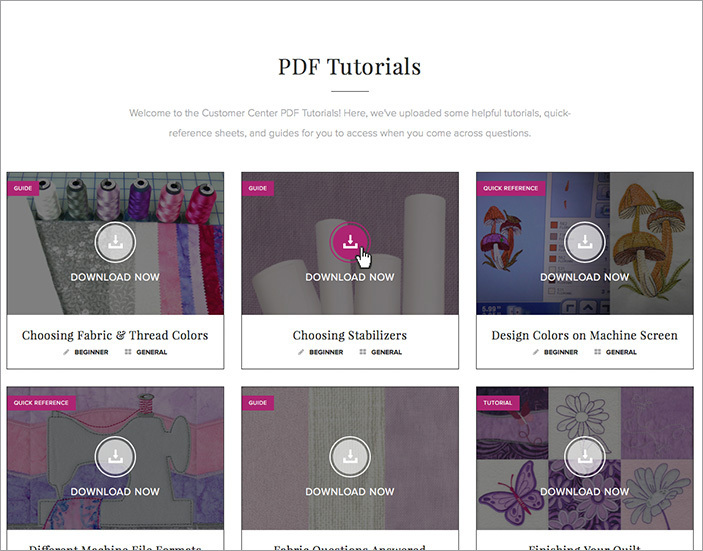 You can easily download any of our PDF Tutorials, guides, and quick reference sheets by clicking the circle icon in the center. What we’re most excited to launch is our Library and Wish List features! We’ve written some quick tutorials on how to utilize these tools. When you’re ready to sign out, simply click the sign out button in the upper right hand corner! 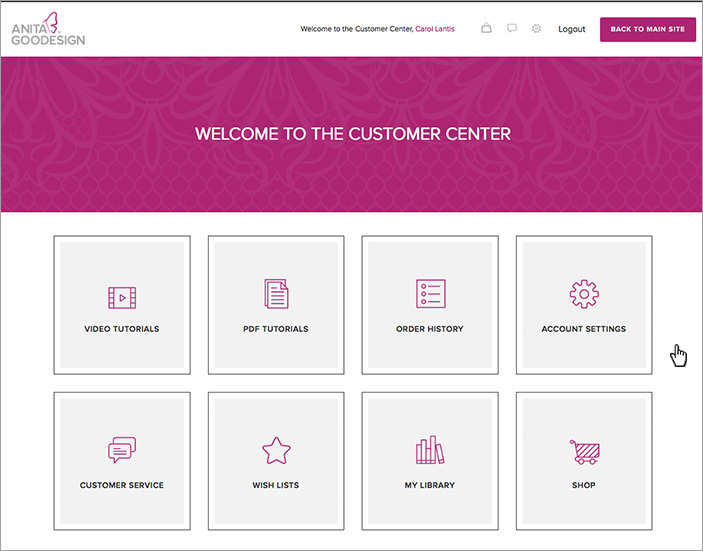 We are so excited to launch our brand new Customer Center! This resource is just one more way Anita Goodesign is making embroidery and quilting easier and more fun! 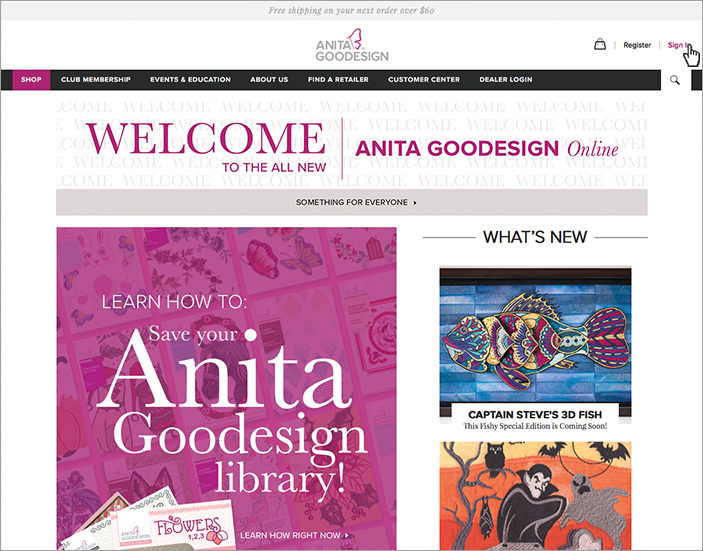 Ready to build your Anita Goodesign library? Check out this guide. Have a few items to add to a Wish List? Click here to see how!